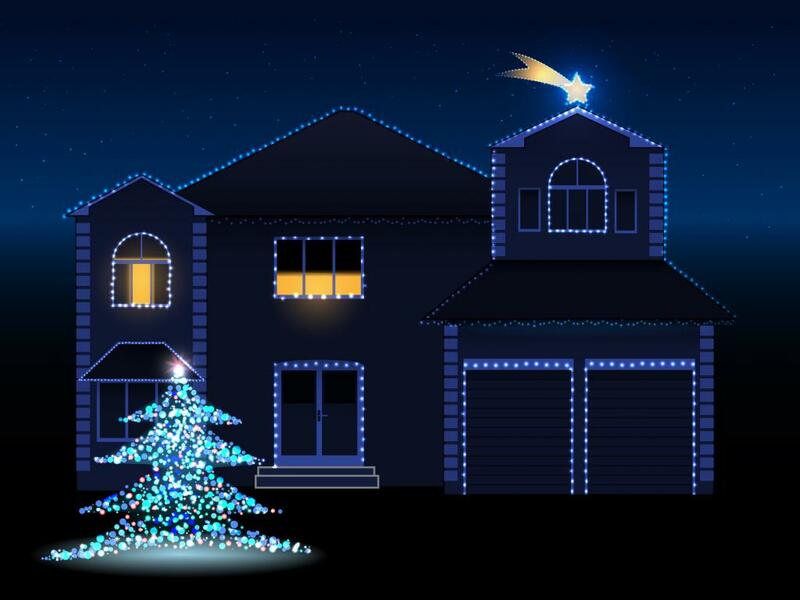 Would you be surprised to know that Thomas Alva Edison, the same guy that invented the first electric lights also was the first to use them to decorate for Christmas? I sure was when I was researching the history of Christmas lights for my article Light Up Your Home For The Holidays. His reason for putting up the first Christmas light display? Not to bring joy to the world as I had expected but as a way for him to advertise his incandescent light bulbs. An article by Brian Murray titled &quot;Christmas Lights and Community Building in America&quot; [pdf] explains Edison&#39;s marketing ploy of stringing incandescent bulbs all around his Menlo Park laboratory, so that commuters on the nearby railway could see the &quot;Christmas lights&quot; as they passed by. Since that first marketing trick, people have had all kinds of reasons for putting lights on their homes to celebrate the holidays including illuminating their rooftop as a beacon for old St. Nick. Here are four more reasons to create a display that goes over-the-top of your roof and all the way down around your home. 1. Because my wife asked me to decorate the house. &quot;The house with a bazillion lights&quot;—includes 32 mini trees,&nbsp;over 40,000 lights, and is synced to holiday music. 2. To carry on a family tradition. The Garabedian Family in the Bronx, New York, have a 30-year-long tradition&nbsp;of decorating their holiday home with nearly 200 animated figurines, all wearing&nbsp;handmade costumes and programmed to &quot;dance&quot; to festive holiday music. 3. To delight the kids C.D. Wright of Brentwood, Tennessee, looks forward to the job of decorating&nbsp;his home every year. His main motivation? The excitement on&nbsp;his grandkids&#39; faces when they see it all. 4. For a good cause. Alek Komarnitsky recreates an over-the-top display in the hope it will motivate&nbsp;people to donate to the University of Maryland&rsquo;s Center for Celiac Research; both of his&nbsp;children have been diagnosed with the condition. Visit komar.org to get in on the fun. No matter the reason, displaying lights from the top down is sure to grab Santa&#39;s attention and bring a smile to the face of any passerby.